As with many sectors on the brink of disruption, the wizarding community was afraid of technology: But not Saruman. He managed to pivot Isengard from an unremarkable agrarian economy to a technologically advanced factory city. Isengard is the Silicon Valley of Middle Earth. To really appreciate Saruman’s strength as a manager of the Uruk-Hai, you have to contrast it with how weakly the Fellowship is managed. The Fellowship has a fragmented team that is at constant risk of losing members. If it isn’t Gimli creating an HR headache by saying something discriminatory about elves, it is Boromir’s frustration at being middle-management creating a toxic environment. Is this sense of division ever apparent with the Uruk-hai? Does the white hand of Isengard lack job satisfaction? No, because Saruman’s Uruk-hai aren’t just orcs, they’re the BEST orcs and they know it. Each orc is proud to be part of the White Hand. When the newest employee is pulled out of their disgusting slime-womb, they have a sense of identity and purpose. Ents. Who knew, right? 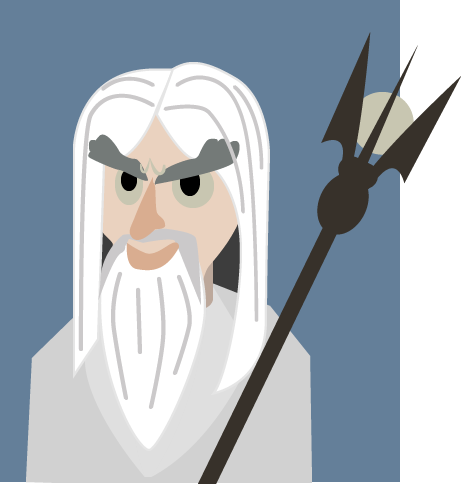 Saruman was so obsessed with his solution, that he wasn’t keeping an eye on the competitive landscape. Then he was just the next in a long line of entrepreneurs who were beat to market when the ents appeared. In a battle of epic proportions, Saruman reminds entrepreneurs not to lose sight of their competitors. "We are the fighting Uruk-hai! We slew the great warrior. We took the prisoners. We are the servants of Saruman the Wise, The White Hand..."
Lando may have been a gambler but he was also a realist who was great at analyzing risk. He realized the opportunities of navigating the legally ambiguous Outer Rim Territories were worth the increased risk. When the empire showed up with enough firepower to wipe out Cloud City, he still managed to negotiate a deal that he believed would save the lives and jobs of the citizens of Cloud City AND his friends. 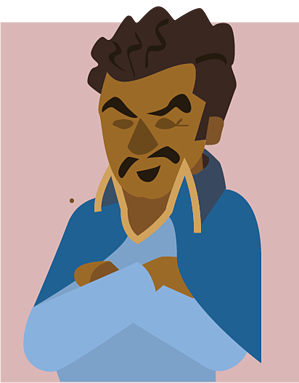 Like Cloud City, Lando seems tenuously afloat, ready to adjust when needed. Lando gave up significant control, not anticipating cloudy days ahead. When Lando’s goals diverged from his investors’, he was forced to act against his wishes (his hand was forced by the Empire when Luke could have really used it!). In the early stages of a company, it doesn't seem like a big deal to exchange board positions, equity, and control for the investment needed to survive, but many founders are left feeling like Lando when their goals diverge from their investors and they no longer have control of their company. "This Deal is getting worse by the minute." 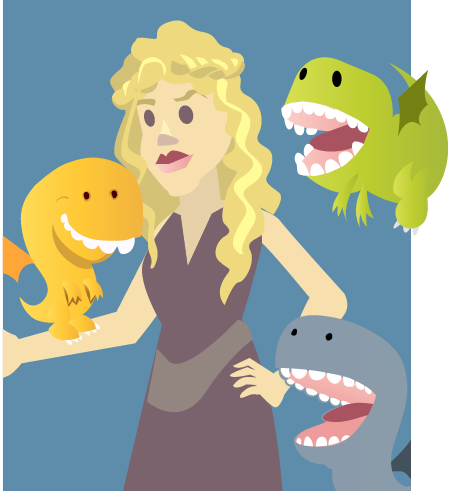 Daenerys Targaryen was a poor orphan who started with nothing but a claim to the throne of the Seven Kingdoms. But with some grit and spit and dragons, she’s ready to take over the world! Sure, you’re not likely to get dragon eggs from your angel investor, but there is a goldmine of startup wisdom from our favorite Khaleesi. Daenerys’ life is full of crushing setbacks, but she always rises to the occasion, whether it’s walking out unscathed from the flaming funeral pyre of her husband or taking over Slavers’ Bay with their own army. At each catastrophe Daenerys keeps moving forward even if she has to deviate from her initial plan. Starting a new venture involves constantly putting out fires, so it helps to be fireproof. Daenerys comes to the table with a “bow-or-die” routine, which doesn’t leave either side much room to negotiate. More than once Daenerys’ strategic interests are barely salvaged by shrewd advisors and supporters. When Elon Musk created driverless taxis, Eldon Tyrell said, "hold my beer." In Blade Runner, The megalithic Tyrell Corporation produces replicants, the android servants that provide labor in Ridley Scott's futurist economy. Automation has been a driving factor of innovation for the last 20 years. Sure you can make money providing a service, but if you write a program or invent a machine that provides the same quality of service and then sell copies—you’ve made exponential returns. Hello, replicants! Many startups fail because they get stuck creating tailored solutions for individual clients. This boutique approach ultimately requires too much labor on a solution that can't be scaled. Everyone in your company from the people who work the phone center to the CEO deserve to feel proud of their work and earn a living wage—not to mention the right to live more than four years without executing a genetically-programmed self-destruct routine. 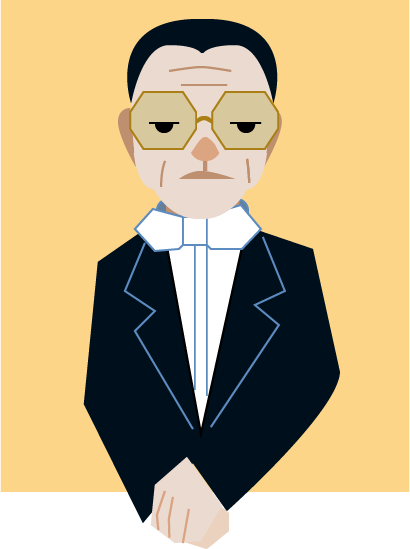 Exploiting people may get you a giant pyramid on the outskirts of L.A. but as Mr. Tyrell found out when he was murdered by Roy Batty—what goes around comes around.